Born at Oakland, Ontario on 7 December 1849, son of F. G. Fairchild and Priscilla J. Harris, he attended school there then worked for a year as a clerk in a dry goods store at Dundas. After spending some time in Illinois, in March 1878 he arrived in Manitoba with a car load of horses and agricultural implements. A partnership with Henry S. Wesbrook lasted until 1888 when Fairchild established a wholesale business of his own, selling machinery of the Gananoque Carriage Company, Moline Wagon Company, Deere Plowe Company, William Deering’s goods, threshers, and the Lundy and Fairchild “Band Cutter and Feeder.” In 1895, he and his brothers formed a limited company, The Fairchild Company Limited, with him as President. In 1871, he married Mary Ida Baldwin (1854-?) of Monmouth, Illinois, with whom he had five children: Nellie Indez Fairchild (?-?, wife of Henry S. Rolston), Nettie Fairchild (1874-? ), Mary B. Fairchild (1876-? ), Lyle Fairchild (1881-? 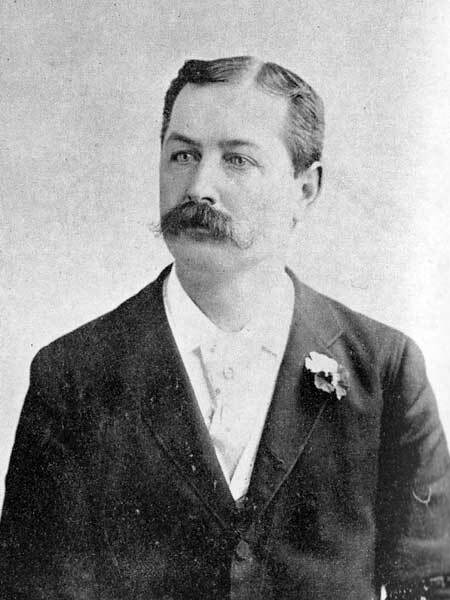 ), and Charles H. Fairchild (1883-?). He was a member of the Prairie Parking Driving Association and served on the board of the Winnipeg Industrial Exhibition. He died at Winnipeg on 9 October 1898 and was buried in the Brookside Cemetery. “F. A. Fairchild is dead,” Manitoba Free Press, 10 October 1898, page 3.